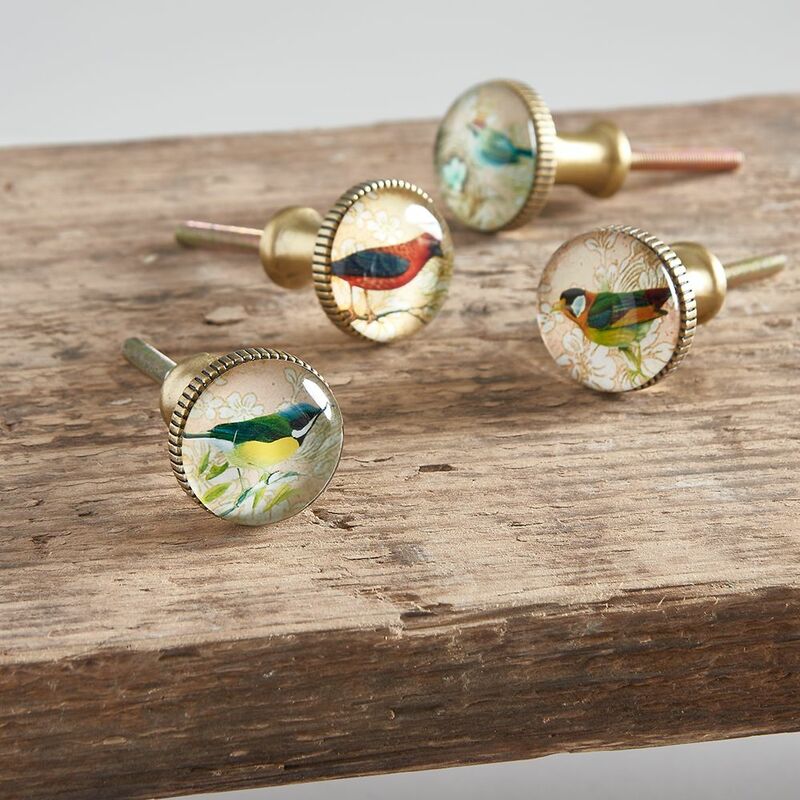 This set of four brass and glass bird knobs will brighten up any piece of furniture or cupboard. Each glass knob has a different design set under a brass case fitting. 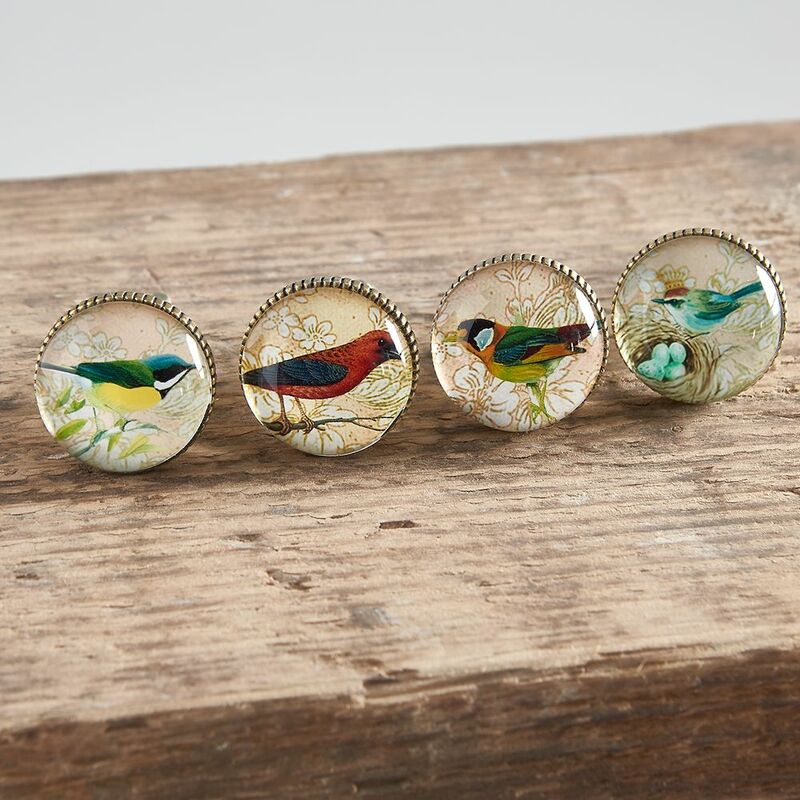 A great way to add a touch of ornithological style to kitchen cupboards, sidetables, drawers etc. Approx. 3cm diameter (plus a 4cm screw).